DATSUN APPROVED BODY REPAIR – TOTAL PEACE OF MIND. Because all it takes to keep your car happy is the Datsun Aftersales treatment. 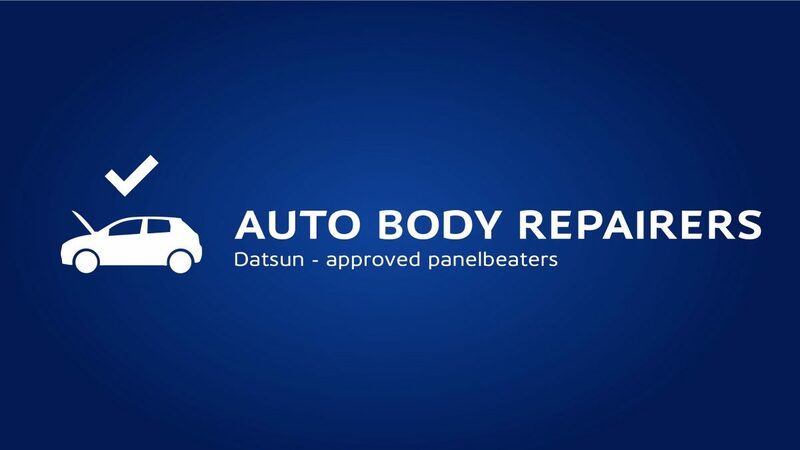 Datsun Approved Body Repair Centres is the perfect answer to restoring your vehicle to its original standard. They use the same quality genuine parts and materials as those originally fitted to your Datsun. We promise you quality parts, quality repairs, and quality control with a 40-point inspection to ensure that all work on your vehicle meets Datsun’s precision standards, because that’s what she deserves.